Originally today was going to be a rant-y day. I had stuff to complain about and dramatic stories to tell. My post was all queued up and ready to go but to be perfectly honest, I’m not feeling it right now. I haven’t gotten a good rant out on here in a while, and I tried to come up with something (a.k.a. the hate-follow thing), but I’m really not into it. That’s not to say I’m not irritated about stuff (the government, work situations, internet trolls, etc. ), but writing is my outlet and I don’t want to funnel that toxicity through my brain & into my hands, forever etched in words here. I’m trying to find ways to acknowledge and give a nod to these feelings, then let them go without making any kind of permanent, negative impact on me. Less time focusing on drama, more time figuring out how to improve myself, my world, and myself in the world. That sounds kind of hippy and I’m ok with it… I’ve drawn most of this from recent yoga and meditation classes, as well as other efforts to keep my mind aware and present. In my life I struggle BIG with anger and jealousy and full-body sadness sometimes. It’s not an ocean that I drown in, but those feelings come in huge waves that knock me off my feet. I feel broken and less than and like a failure of a human when I allow these emotions to overcome me. I thought the answer was building a wall against the bad and trying to flood the inside of my mental fort with happiness. The last few guided meditations I’ve done have kind of been the opposite. I’ve been focusing & letting those events or people or feelings IN. Taking notice of them, acknowledging that they had a place and a purpose, and then letting them go. Or sending good energy toward them. Or just simply accepting that I feel that way and being ok with it. And this has helped my daily attitude and my reaction to other people and events outside my control. I still get angry and sad and jealous when my environment is less than ideal, but more often now I don’t scold myself for feeling that way or release those emotions on the people around me. (Sometimes I still have terrible reactions and forget to apply awareness to my situations. I’m not perfect, I haven’t perfected this whole mind over matter thing.) I’m trying to live with my emotions, in the moment, and release them before moving on to the next moment. I have a good memory and I’ve always held grudges- this practice helps me to “release” those grudges. I internalize problems, both mine and those I love- this awareness helps me to recognize the problem and empathize with them, but not to carry the weight when there’s little I can do. I have a lot of pride and, despite my introvert tendencies, I have FOMO sometimes- but when I’m aware of what I’m doing and what needs to be done to accept the situation, I’m a little better at just letting things go. Don’t take this as a ‘yay, me’ post. I screw up & fall short all the time, but it helps decrease my anxiety when I filter out the drama and (try to) remain in awareness of my strong emotions. I once wrote a post about my mental diet, and adhering to the limits I’ve set for myself in regards to outside noise helps, too. I’m sharing this today because I think anxiety and depression is wide spread and hopefully this is helpful for someone. Your brain is an organ and it’s important to monitor, exercise, nourish, and heal your brain (just like your heart or lungs). 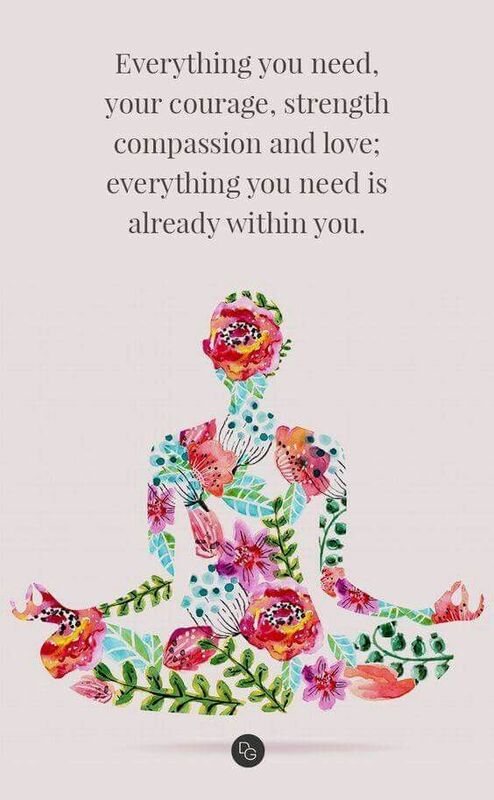 And when it is unhealthy or tired, you should take care of it. I’m a big believer in meditation, awareness, therapy, medication, etc. Take care of yourself and do so without shame. Shoutout to my incredible local yoga studio, Be Yoga. I get so much out of my practice and participation there. And to my blog friends and physical friends, when the world is crushing and you’re feeling out of control, I’m one email, text, or phone call away. ← 2019 Movies I’m Excited About! Okay I have gone through (and continue to try to work on) this exact same practice. I struggle a lot with feeling like I don’t have a place or that I’m not in a place I want to be, especially when I compare what I think I want with other people. The mentally digesting and letting go of stuff has been so helpful. I’m here if you ever want to digest too! It’s infuriating and uncomfortable and sends my brain into a tailspin. Obviously this is just one subject/example, but it’s my most recent one. I so appreciate the offer and completely return it to you, too! This post speaks volumes to me right now. I am nodding along to what you’ve written and recently got into yoga which I am loving (and has helped along with meditating). Last year was a big year for me in letting go. But I admit is isn’t easy 😦 I had done everything possible to be a good family member and it just wasn’t enough. I realized that this was their choice while walking away is mine. The grudges and underlying anger completely disrupt my calm and happy (attempted) approach to life. I hate it. And I never would have guessed that in order to dispel them I need to address and take notice of them, but that’s exactly how it’s worked for me. It’s strange. Like when you have a song stuck in your head and the only way to remove it is to listen to it. I’m sorry to hear that you’ve been through those struggles with your family. I know that’s so tiring and hurtful. Letting go really is the only way to move on and stop letting it affect you. Good for you! That last paragraph… you are just the sweetest. I really need to work on more of my mindfulness. Yes, I pray & clear my brain out with that but I feel like a time to just ‘zone out’ in a peaceful manner would be so beneficial too. Man, I wish I could get that yoga spark lit in me. I think its so good for so much of your whole body health…. I really enjoyed this post & your honesty. I can't believe I forgot to mention prayer! I tie that into my meditation, though, so I think that's how it slipped through the cracks up there. Zoning out is helpful but I REALLY get something from a calm voice leading me through what I envision and think about. I don't think it has to be yoga, though 🙂 I'm sure runners or elliptical lovers could incorporate that mindfulness into their workouts, too! You are inspiring! I think it’s just all too easy to get swept up in everything that is going wrong. It takes amazing inner strength-and practice as you’ve mentioned-to go against that! Such important reminders! Yoga is such a huge helper for me to zone out. I can’t even tell you how many drafts of angry/frustrated with the world rants I have that I thought better of and ended up posting something else. I’m a huge fan of yoga, especially on good days. (Some days I’m more focused than others.) I think time and thoughtfulness can often diffuse an angry rant 🙂 Although I fully recognize that there’s a time and place for that anger and fire! I’m nodding so hard that I’ve become a bobblehead. 😀 I am very guilty of taking the weight of the world on my shoulders. Of trying to build a wall against so-called “bad” emotions like jealously, anger, sadness (the emotions we are taught to hide or be ashamed of having, especially as females), which only magnifies the problem in the long run. Eventually, at some point, that dam breaks and all Hell breaks loose. I’m trying to get to the point where I can acknowledge my feelings and let go of them, like you are doing. It’s a struggle for me. I’ve never had great success with meditation because whenever I quiet my mind, what is left seems to be all the negativity. I have never done guided meditation, though, and that may make a huge difference. I’ll have to give it a try. Oh no! Support the neck! 😉 I carry lots of weight… mine, Kyle’s, family members’, friends’. I love them and I don’t mind really, but I know my brain and body suffer for it. I never thought to let the bad IN and to acknowledge it as legitimate, but it’s been life changing. I would definitely recommend guided meditation. When a calm voice tells me how to channel my thoughts I’m much more focused. Yes to all of this! its a real exercise in digging deep to release negative thoughts and energies. I agree completely! An exercise that takes practice and repetition! Also a big believer in awareness and exercise and nourishment of the brain…and the heart and the soul. AND in talking about this stuff. Bravo! When people tell me how stressed and overwhelmed they are I always try to convince them that taking care of their mind is AS important as their heart/lungs/skin/etc. It’s a shame that society pressures us to address these needs privately (or not at all!). i know i’ve been out of the blogosphere for like…ever but i’m so glad this is the first post i’ve read from anyone in a looong time. thank you for your honestness and letting us walk with you while you are in it. “Your brain is an organ and it’s important to monitor, exercise, nourish, and heal your brain” this is beautifully said. thank you for being exactly who you are in this exact moment. i am so so glad that you are finding meditation and yoga to be so beneficial! Thanks, Chelsea! (It’s nice to have you back in the blogosphere!) I know mental health is something lots of people focus on but few people discuss. I think that should change. Yoga and meditation have been so life altering! Thank you so so much for your honesty. I always wonder if I’m being a little out there by sharing my struggles with anxiety and depression, but I know I’m not alone and you are helping others so much by talking about it. Thank you for that. I’m so glad to hear how much yoga helps you, I think I would like something like kickboxing but I’ve never tried it. You’ve inspired me to find something that works for me. Sending you a hug, xo! It’s difficult to share because I know we all experience anxiety and depression differently. It makes me crazy, but I experience small burst of anger too when I deal with those emotions. The anger is what prompted me to start making changes. (Not violence, just anger fortunately.) K was getting a lot of my frustration and moods, and I knew that wasn’t good for our marriage or our workplace environment. Definitely try kickboxing! That sounds awesome! And I know being physically AND mentally involved with my workouts helps so so much. I love your little nod to Harry Potter here. 🙂 But seriously, this is a fantastic post. I’m someone who deals with a variety of mental health issues and it is something you have to be aware of and find what works for you to make you feel better, and it can obviously be a combination of things. 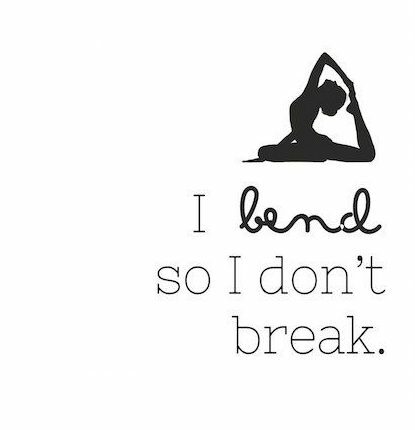 I’m glad that yoga and meditation is helping you feel better, and we all have bad days – we’re not perfect, but it’s a work in practice. You’re the first to say something about HP 😀 It’s tough to write about or share when it comes to anxiety and depression. Everyone experiences it so so differently. I hope you’re finding some things that work for you, too! Definitely a work in practice! i love that you’re being open and honest which is a step in the right direction in gaining a better sense of what your need to do in order to be happy. having been down this path before, i’ve discovered that exercise is my main tool to keep those negative thoughts away. i’ve also said goodbye to everything (people and things) that dont make me happy …which is also one of the best things i’ve done for myself. I notice that a combination of exercise and meditation makes me both energized and calm and happier. I don’t like the IDEA of exercise, but once I finish I almost always feel better. Cutting out things like FB scrolling and people who only annoy or enrage me is a good next step for sure. Thank you, Mya. That’s so kind of you to say!